Oh, Look! It's Coffee O'clock! 'Sit down, shut up, drink some coffee, you are going to be fine.' That's just the coffee talking. This is about a game on Instagram, wherein you have to tell 20 facts about yourself if you have been tagged to a photo of just anyone. In my case, it was my crazy sister who brought me in the loop. So, there I was, thinking about these 20 facts; which surely a lot of people do not care about, but I couldn't get my self into writing and since I was meaning to blog something about coffee so I thought of why not just combining both? And, here's what I thought! 1. I got a boy friend who calls me KAPE (coffee) - Yes. every time we get to see on skype or in fb or in just any portal of communication to just randomly exchange how are you's and how's our day have been; coincidentally, I am always having coffee. Which led to birthing me that name. BUT, never had I gone out coffee with him, yet. 2. At 7am, it's either am still on bed or sipping my COFFEE while watching the sun's reflection gleaming on a building's facade - There are lots of buildings that can be seen through our room's terrace but there's this particular glass-green building where the sun beams directly on it. I usually watch the sun's reflected light from its top until almost halfway to the bottom then am on to hurriedly prep up for work. 3. 9.30-10am, my COFFEE break - This is when I religiously check and respond to emails and do some (unnecessary) tasks at work. It would be the weirdest thing in the world when I reach for my mug and the black delight is not there. 4. In anticipation for my circadian dip, I drink COFFEE right after lunch - Normally, my circadian rhythm sits in after lunch. So, since caffeine does its magic on me 30-45 minutes after intake. 5. I got unusual COFFEE craving in between after lunch and 5.30 while in the office - I just want overflowing coffee. 6. I take advantage of the 5-15 minutes drowsing effect of COFFEE when I can't sleep - Yes. You've read it right. According to science, caffeine has a drowsing effect from 5-15 minutes after intake; depending on one's body response to caffeine. But, it normally is. 7. I got many COFFEE mugs back home - I got lots of mugs and no one could ever use any of them else I would go ballistic, except my MOM ^_^. Nah. I give mugs every Christmas and whenever I feel giving to my siblings so there's no reason for them to use mine (territorial alert). 8. Red is the color of my two COFFEE mugs (Dubai) - I love black and red. Need I say more? 9. My COFFEE mug gets to sleep with me during weekends - I take pleasure in staying up late reading or just watching anything with overflowing coffee. Then when sleep knocks in, I'd be then too lazy to get off bed and so my mug can just stay with me. 10. Our driver always wants to make me a cup of COFFEE, but i always say NO. - Always, a No. 11. Also when I don't feel like talking, he'd point a COFFEE shop when we get to pass by one. - He sure knows how to get my attention. 14. Got a friend who had provoked a nervous breakdown and incessant palpitation because of my addiction to COFFEE - One of my former colleagues liked watching me enjoying coffee. Eventually got lots of coffee break together or make coffee for each other. Which, unfortunately caused her palpitating beyond normal and a nervous breakdown. And, gradually she quit coffee. 15. I miss having a morning COFFEE in a floating cottage with schools of colorful fishes underneath. - One of my best memories ever! Having that morning delight in a floating cottage, watching the sea water shining with the sun's rays and those tiny colorful fishes that swam back and forth boasting their wonders! Best Summer ever! 17. I drink my COFFEE to its very last drop tho it's the coldest coffee there is. - Yep, before the mug goes to the sink or me to somewhere! 18. Got reels of COFFEE blogs - Have written blogs and bookmarked lots of websites that talk coffee. 19. If you get to have a COFFEE with me, that means I like you - I can't have coffee with just anyone. Savoring that hawt delight is but a precious moment, so is whoever I will be with. 20. 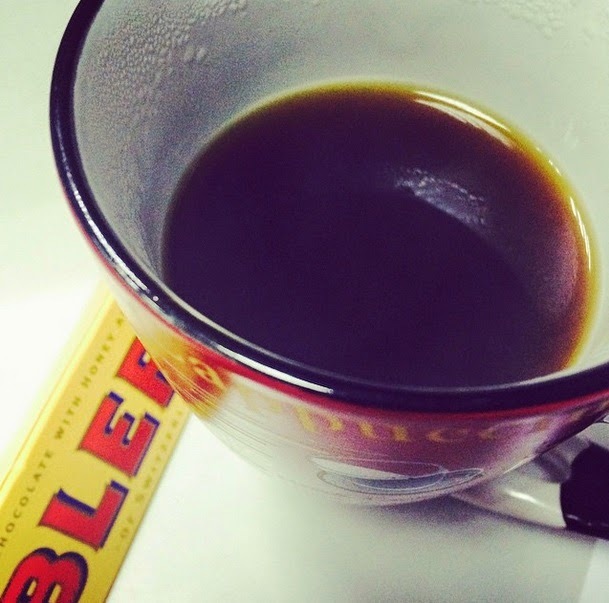 That rich aroma of a bitter-sweet black COFFEE #LOVE - TOTALLY.